Application fixed spotlight, track light, spot downlights, etc. 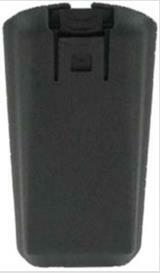 * Replacement battery for Tait Orca 5000/5010/5020/5030 series two way radios. * Tait Cougar 400; M A-Com Cougar 400; M A-Com Cougar 6000P; M A-Com Cougar 625P; M A-Com Panther 400; M A-Com Panther 600; Tait Orca 5000; Tait Orca 5010; Tait Orca 5020; Tait Orca 5030; Tait Orca 5035; Tait Orca 5040; GE, Ericsson Cougar 400; GE, Ericsson Cougar 6000P; GE, Ericsson Cougar 625P; GE, Ericsson Panther 400; GE, Ericsson Panther 600.